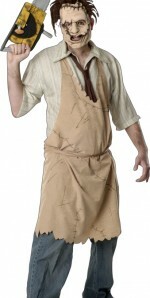 This leatherface costume is easy to wear and sure to scare. 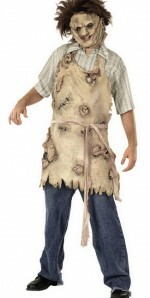 EVA mask with hair, printed apron with shirt and tie. Standard size fits men up to size 44. Look even creepier in the apron as you slice and dice human limbs. Latex apron made to look like skinned flesh, sewn together with miscellaneous body parts attached. One size fits most adults. Wearing the flesh of your victims was the story line behind the Texas Chainsaw Massacre. 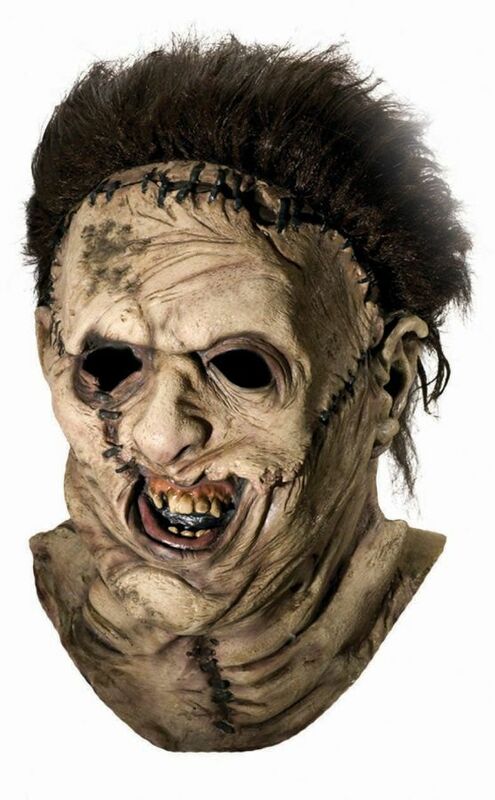 Now you can wear an exact copy of the flesh sewn mask used in the movie. Full over the head latex mask, individually hand painted for the most grotesque look possible.